FESPA has confirmed its features programme for FESPA Eurasia 2018, which will take place from 6 to 9 December at the Istanbul Expo Centre in Istanbul, Turkey. 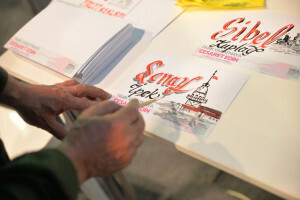 The programme includes Print Make Wear Istanbul, the World Wrap Masters Eurasia and signage demo workshop. Print Make Wear will make its debut at FESPA Eurasia comprising live demonstrations of the latest in fast fashion production and garment decoration. Visitors to Print Make Wear Istanbul will be able to experience the entire garment production process from design through to the finished garments, and given the opportunity to engage directly with experts to learn more. It will highlight both digital and screen print technologies including the latest design and workflow software, direct to textile printing and a live screen printing automatic and manual production illustrating the latest special effects. FESPA’s worldwide vehicle wrap event, the World Wrap Masters returns to Eurasia. Sponsored by Hexis Graphics, Mimaki Eurasia and Car Wrapper 3D, World Wrap Masters Eurasia will offer sixteen regional wrap installers the opportunity to showcase their expertise and creativity to the global wrap community, while competing to be crowned the winner. The competition will take place daily. The contestants will wrap a variety of objects. On the first two show days visitors can take part in onsite training opportunities from international and regional wrap professionals, where they will share top tips and expert advice. Confirmed judges and trainers for World Wrap Masters Eurasia are Carlos Ruiz from Spain and Kiss Lajos, two time world champion from Hungary. 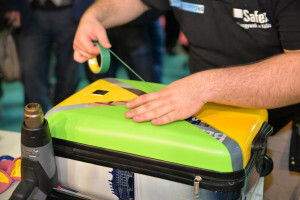 The winner of this event will win a trip to FESPA Global Print Expo 2019, where they will compete against other regional winners for the title of World Wrap Master. Last year’s Eurasia champion, Ivan Tenchev from Bulgaria, won the World Title at the final in Berlin, Germany. The Signage Demo Workshop, organised by ARED, will showcase the latest in both traditional and modern sign-making including sign writing techniques, neon and LED signage production. The programme for the Signage Demo Workshop will be available nearer the show and will take place every day during the show.